Looking for the best portable cribs and infant beds for your little one? Look no further. YOUR BABY STILL FEELS LIKE THEIR IN MOMMY'S WOMB! The Portable Baby Bed meets the ergonomics design, offering effective flat head syndrome prevention. This baby crib mattress is designed with pillow and comfortable edge that surrounding the baby and prevent baby from rolling over, creating a secure sleeping atmosphere for baby at bedtime. 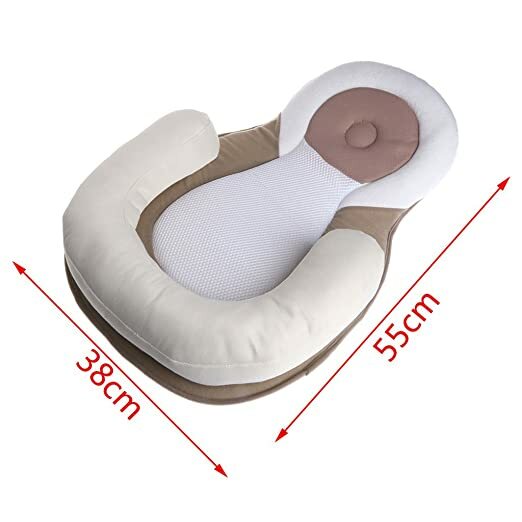 ✅ Lightweight - Let’s face it — you are going to be toting this Portable Baby Bed around, so it is advantageous to choose a lightweight travel crib, that doesn’t sacrifice other key features. ✅ Easy to Assemble- it could be late at night when you arrive at your hotel, vacation rental or Grandma’s house. Your baby or toddler will be tired and you don’t want to go to war with your portable travel cot. The best travel baby bed should set up as easily as promised by the manufacturer. ✅ Washable - It really does. While rarely necessary, when disaster strikes, a washable travel bed is a blessing. 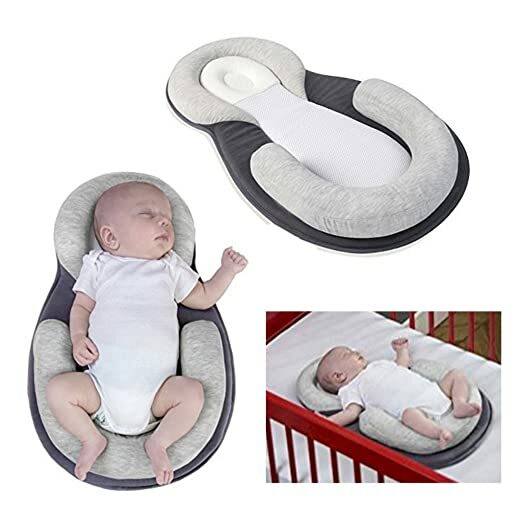 ✅ Breathable — For safety reasons, it is very important that a portable baby crib for travel or an infant travel bed have proper venting and breathable fabric.